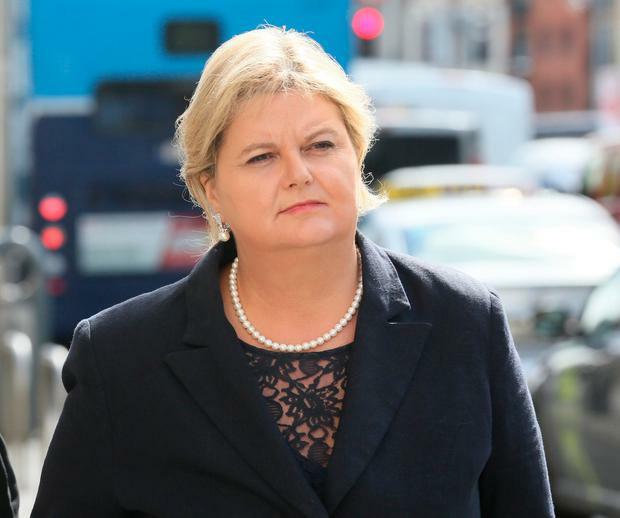 Taxpayers will have to pick up most of the tab for the failed High Court action taken by former Rehab chief executive Angela Kerins against the Dáil Public Accounts Committee (PAC). A ruling yesterday means the PAC, Attorney General and the State face having to pay hundreds of thousand of euro in legal fees, despite winning the case. Normally losing parties would have to bear all of the costs, expected to be up to €700,000 after the 10-day hearings. However, a three-judge division of the court ruled the PAC will have to pay two-thirds of Ms Kerins's legal bill. The PAC will also have to pay its own legal costs on top of that. These stand at €234,000 for work on the case in 2015 and 2016, according to documents released to the Irish Independent under Freedom of Information rules. The two other defendants in the case, the State and the Attorney General, will also have to pay their own legal costs, as yet undisclosed, after failing to secure orders for costs against Ms Kerins. The costs ruling could have significant ramifications for the manner in which Oireachtas committees conduct their business in future. Although the court found it could not adjudicate on what TDs and senators say under Oireachtas privilege, it took into account the damage done to Ms Kerins's reputation in its decision on costs. Ms Kerins (58) unsuccessfully sued for damages and sought declarations that the PAC's activities were unlawful and tainted by bias following two hearings in 2014. She alleged bullying and claimed there was a "vendetta" and a "witch-hunt" against her, forcing her to attempt suicide. The three-judge court comprising High Court President Peter Kelly, Ms Justice Isobel Kennedy and Mr Justice Seamus Noonan found that the circumstances of the case warranted a departure from the normal rules on costs. The court said it was restrained by the Constitution from commenting on utterances made by PAC members. "But nonetheless it cannot be said that much of what was put to the applicant and said about her in the course of the two meetings in question was damaging to her reputation personally and professionally," it said. The ruling said the court was satisfied the taking of the proceedings by Ms Kerins was a "proportionate reaction" to what had occurred. It also said it was satisfied Ms Kerins had "raised issues of special and general public importance and of some novelty". "She raised issues concerning the legal safeguards, if any, available to witnesses who appear before the PAC in a voluntary capacity," it said. "The PAC has an important function. Questions concerning the proper discharge of its function and the conduct of its members are matters of public importance." The ruling went on to say the case also raised important questions of freedom of speech in parliament, the separation of powers and the extent to which the court may intervene in the affairs of the legislature. The court said the case determined that Article 15.13 of the Constitution, concerning Oireachtas privilege, extended to comments made in committees as well as in the Dáil and Seanad. "The case also casts light on the position of persons who volunteer to appear before the PAC. This may well have implications for the PAC in future since the court was told that it operates to a significant extent on voluntary participation of witnesses," it said. Following an application from counsel for the PAC, a stay has been put on the costs order in the event of an appeal.